Michael Law knows Austin’s pools – he’s been servicing them for over 20 years. Originally from Houston, Michael came to Austin to attend UT where he studied art history. He took a part time job cleaning pools for a local company to make ends meet while attending school. Cleaning pools appealed to his Piscean nature (Michael is part fish and never likes to be far from a body of water) and allowed him to spend his days outside in the sun instead of behind a desk. Soon, his part time job become a full time obsession. So, in 1994, he made the decision to start his own pool cleaning company and Lake Austin Pools was born. 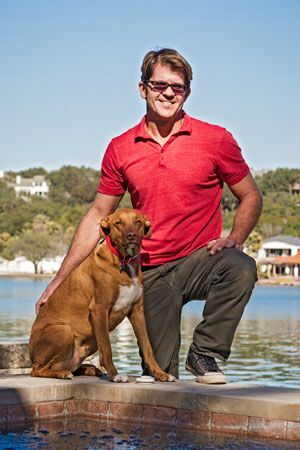 Never one to sit still too long, when not busy maintaining clients pools, you will likely find Michael outside being active – boating on Lake Austin, mountain biking in the greenbelt or simply running around town lake with his wife, Kendall, and dog, Digsby.